The sciatic nerve is the largest nerve in the body, and consequently, irritation or compression of this nerve can lead to severe pain. This is what is typically referred to as sciatica, and it encompasses a wide range of symptoms. Perhaps the most common indicator is leg pain that travels down the leg. Many describe the pain as a burning sensation. Pain in the lower back and buttocks tend to accompany the leg pain, and it’s not unusual to have sensations of tingling, weakness or even experience numbness. We regularly treat patients who are suffering with sciatica at Living Well Medical in NYC, combining a number of cutting-edge, non-surgical treatments to stop pain. 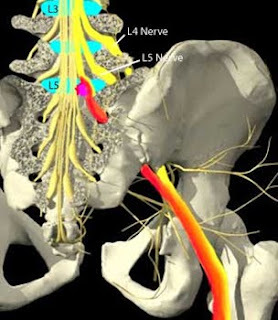 As to the cause of sciatica, there are a number of different physical reasons for it, but pressure applied to the lumbar nerve roots of the sciatic nerve is the direct cause. Nerve pressure is often related to conditions like a herniated or bulging disc(s), degenerative disc disease, spinal stenosis, piriformis syndrome, and facet syndrome. In the case of discs, these cushions between the lumbar vertebrae that have herniated, bulged or otherwise malfunctioned compress the sciatic nerve (often referred to as a pinched nerve). The result is pain and frustration. No matter what the mechanism for sciatica, the pain is extreme and can even become disabling. Many sufferers can’t seem to find relief from any treatment, even going so far as spinal injections. It feels like nothing will help, but no one wants to get back surgery. There must be an alternative, right? Thankfully, there is an effective alternative to back surgery that has given patients hope for an end to the pain of sciatica. It’s called non-surgical spinal decompression, and at our office in NYC, we use the DRX 9000 spinal decompression system to help patients. This technology has only been around for about 10 years, but in that short time it has resonated with patients searching for a second opinion. In many cases, treatment with the DRX 9000 is able to help repair the lumbar discs that are causing sciatic pain. Through a series of gentle stretches applied precisely to the discs, herniated fluid can return to its proper position, carrying nutrients with it which the disc can use to naturally encourage healing. 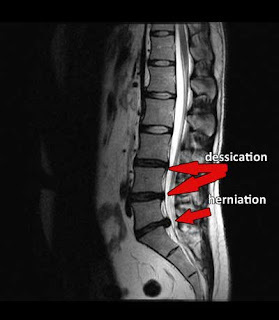 Over time and throughout the course of a normal spinal decompression regimen, herniation of the lumbar disc can be reversed, leading to reduction or outright elimination of your pain. All that being said, non-surgical spinal decompression with the DRX 9000 is not the end of the road for those suffering from sciatica and low back pain. Exercise therapy and changes in lifestyle might be necessary for continued wellness after treatment. But it does offer patients who are at the end of their rope an effective second option that doesn’t mean a scalpel. For more information on comprehensive treatment for sciatica and leg pain in NYC, check out the website for Living Well Medical in Downtown Manhattan. Chiropractors recommend changes in lifestyle that affect those factors. In some situations, chiropractors refer patients to or consult with other health practitioners.